Spring thaw is coming exceptionally early in Greenland this year, with 50-degree Fahrenheit temperatures creating a melt area that makes up 12 percent of Earth's most northern ice sheet, according to data released this week by the Danish Meteorological Institute (DMI). The scientists behind the report were shocked by what they found. "We had to check that our models were still working properly," Peter Langen, a climate scientist at DMI, said in a blog post. This amount of ice melt is taking place about a month earlier than normal. The previous top three earliest dates for a melt area larger than 10 percent all took place in May. The researchers reported that those dates were May 5, 2010, and May 8 in 2006 and 1990. "Even weather stations quite high up on the ice sheet observed very high temperatures on Monday," said Robert Fausto, a scientist at the Geological Survey of Denmark and Greenland who maintains melt data. At one site 1,850 meters (6,069 feet) above sea level, for example, the temperature reached 3.1 degrees Celsius, or 37.5 degrees Fahrenheit -- hardly tropical, but warm enough to start melting. "This would be a warm day in July, never mind April," Fausto said. Other monitoring sites had daily average temperatures between 5 and 10 degrees Celsius (41 to 50 degrees Fahrenheit). It's only the latest example of the impact of accelerated global warming in recent years. 2015 was the hottest in recorded history. NASA data from this year shows that the Arctic experienced one of the mildest winters on record. The Arctic sea ice peaked at a record low of 5.607 million square miles this winter. Back in November, a NASA-funded report published in the journal Science revealed that Zachariæ Isstrøm, a giant glacier in the northeast of Greenland, is melting at such a rapid rate that it could lead to a continuous sea level rise for decades to come. According to the Danish study, the ice melt occurring now was driven by warm air that advanced from the southwest, bringing rain with it along the coast. 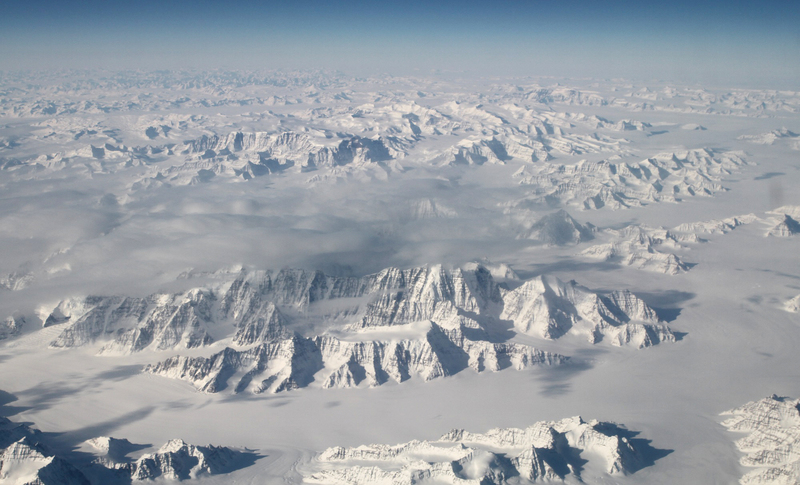 The researchers said this was similar to an extreme ice melt in 2012, when an astonishing 95 percent of the ice sheet surface experienced melt. Usually at this time of year, rainfall and ice sheet meltwater encounters snow and re-freezing. "Meltwater refreezing releases heat into the snow at depth, reducing the amount of heating needed for melt to start and forming ice layers that can help meltwater run off the ice sheet earlier with climate warming," said Jason Box of the Geological Survey of Denmark and Greenland. "It is a very unusual situation, especially so early in the year, with very cold air and deep low pressures system to the west and east of Greenland and very warm air forming a 'cap' over the island," Martin Stendel, a DMI climate scientist, said on the organization's website. "This helped to force a frontal system with very warm air up the west coast bringing rain over the ice sheet."